Replies: 379 (Who? ), Viewed: 84733 times. Hosted two foundation challenges in #create. I am motherporkin’ Qbuilderz…which says a lot in itself. In years past, MTS has conducted a few foundation “challenges” and “contests.” In these competitions, a foundation was handed out to those who participated with the expectation that they find a creative way to build a house with the given space. The next round, the foundation would progress in complexity, often including weird shapes, corners, and angles, designed to try and throw people off. This process would be repeated each round until, ultimately, the final foundation looked ridiculous and lead to awkward houses. That will not happen in this challenge. In fact, this challenge is the antithesis of what the previous rules called for. Each round, I will be handing out a simple foundation to work with, a palette where you can still be creative, without having to blow a few gaskets trying to make heads or tails of what you’re looking at. 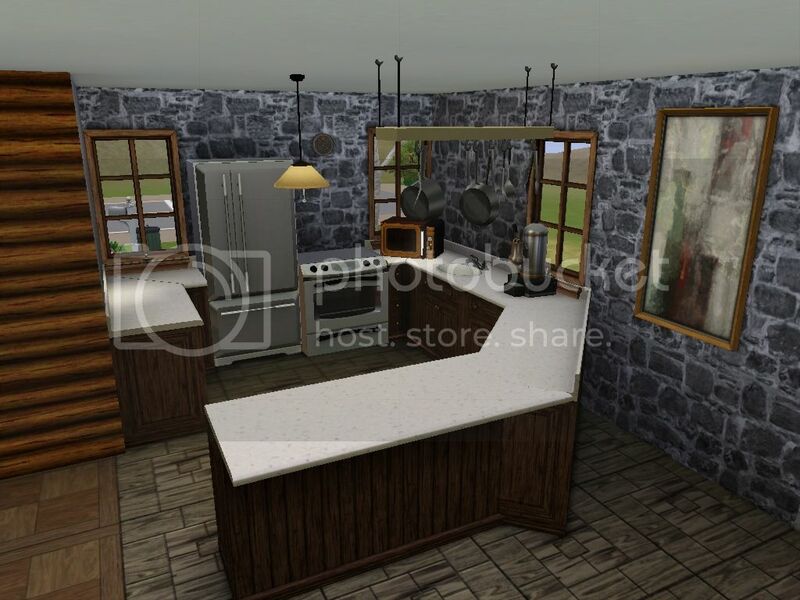 This will ensure that all entries can be different styles, ideas, and have different personalities, while still allowing for the challenge of working with somebody's floor plan. The catch, however, remains in the foundation, just not on its shape. The initial round of this challenge will be designed as a lead in -- a simple foundation with no catches, sculpted to give you a bit of a challenge, introduce you to the rules, and establish a friendly competition. From there, who knows what I might throw in; perhaps a forced basement; maybe a different wall height; CFE walls…I don’t know, and neither will any of you. Each foundation will have a special quality with it. Instead of changing the shapes each round, I will be altering more drastic characteristics. Height, depth, size, shape, angle, levels, and more are all open for modification. This isn’t the average challenge you are used to; this one can, and will, give you a run for your money, and hopefully, force you to try some new things as well as build on your problem solving skills. Without further ado…here are the rules! Failure to adhere to any of the rules will result in your score for the round being reduced to zero. Repeated infractions will result in being kicked from the contest overall. 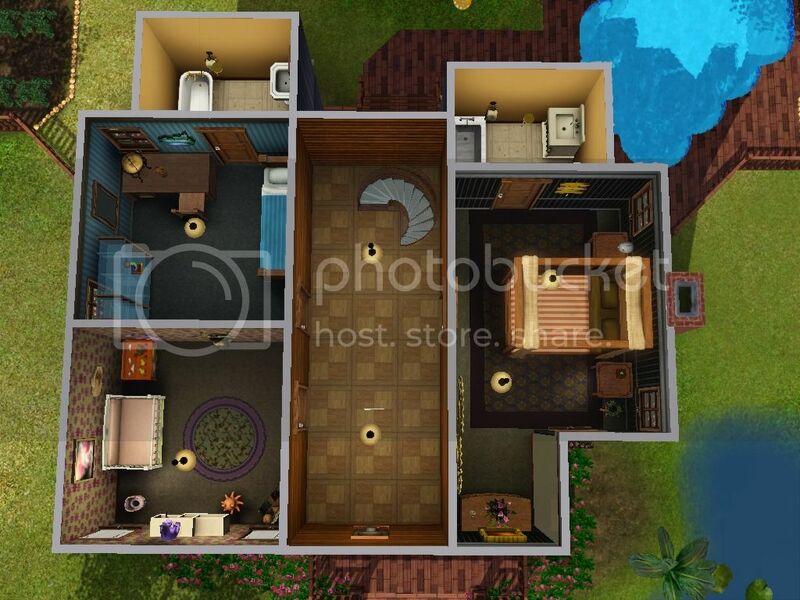 o	As stated above, the top down view should still resemble the original lot. This means no over hangs for more space and no adding basements. However, you are permitted to add shed, car ports, garages, etc. and attach them to the lot as long as they don’t add more livable space. Garages can only be used to house cars, not store an extra bed. o	Is allowed as long as it is free or store content. NO PAY CONTENT. o	MTS encourages the creation and use of CC, but everyone deserves their credit. You don't have to list each bit of CC, just the creators that made it so they get their work highlighted. o	Each round will last for a week. o	Extensions are allowed, but there should be a valid excuse, as per usual. o	For the most part, this contest relies on people being honest. The more you adhere to the rules, the more fun it is for everyone. Try not to bend the rules; if you think you can exploit something, try not to – it ruins the game for everyone. If you want to make sure that what you’re doing is allowed, just ask down below and I, or someone else who has done these before, will help you out. o	Make sure the lot follows all of the rules, is built in a unique way, there are no boring walls, etc. If your lot looks finished and well done, you can score up to ten points! 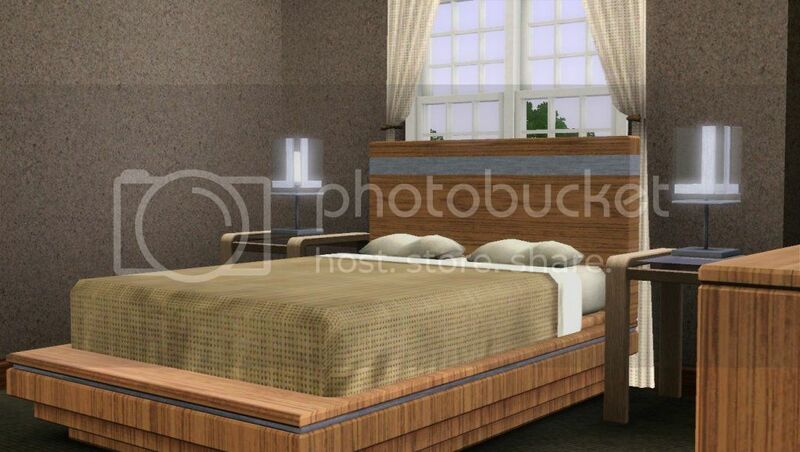 Don’t forget that interior room layouts are considered as well. o	Everyone is focusing on building an outstanding house, but landscaping is just as important! Fill in awkward spaces, use flowers and trees effectively, but don’t be too excessive or sloppy. o	The inside is just as important, if not more important, than the outside. Make sure the necessities are included in the house, the floor plan is set up well, and rooms don’t look too large or empty! o	Are the pictures you took large, clear, and pretty? Is your post informative and free of errors? This is an easy ten points! Don’t rush it! o	Is there an obvious and cohesive theme? o	WOW! Your lot clearly stood out in this round. You really went the extra mile! To enter, all you need to do download the lot, finish your entry, and post at least the required pictures down below. There is no limit on how many entrants I want, if I get only 10, perfect! If I get 42, even better! If you wish to be a judge, just ask down below. The only qualification is to be completely unbiased in your scoring. As above, I will also take on as many judges as people sign up. If you'd rather judge, I'd love to work with you! Description: SEE ABOVE POST FOR A LINK TO AN ANNOUNCEMENT ABOUT THIS FOUNDATION. Last edited by QBUILDERZ : 20th Nov 2012 at 9:21 PM. This message has been deleted by heaven. Reason: Host hasn't checked in. Rawr! You're HERE! I waited ALL MORNING! ... No, not really. Just the last hour. How many rounds will this be? 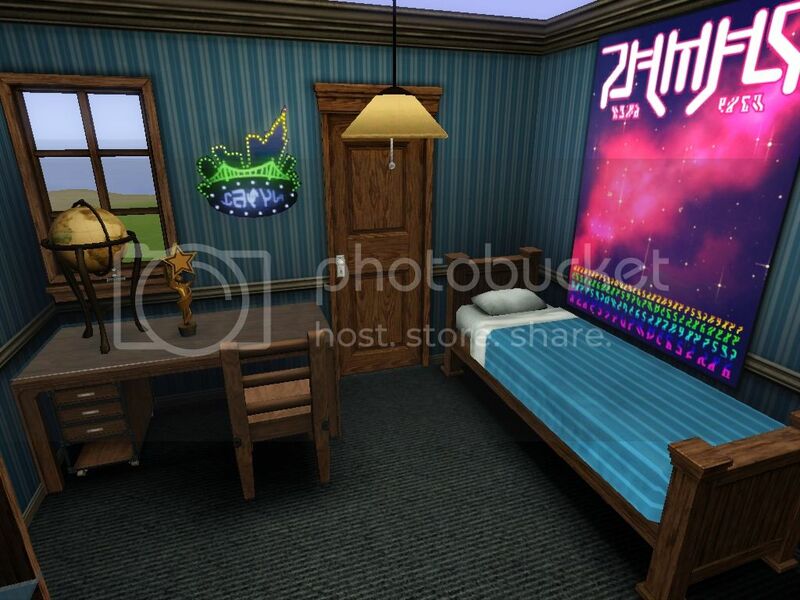 Sims 3, am I right? 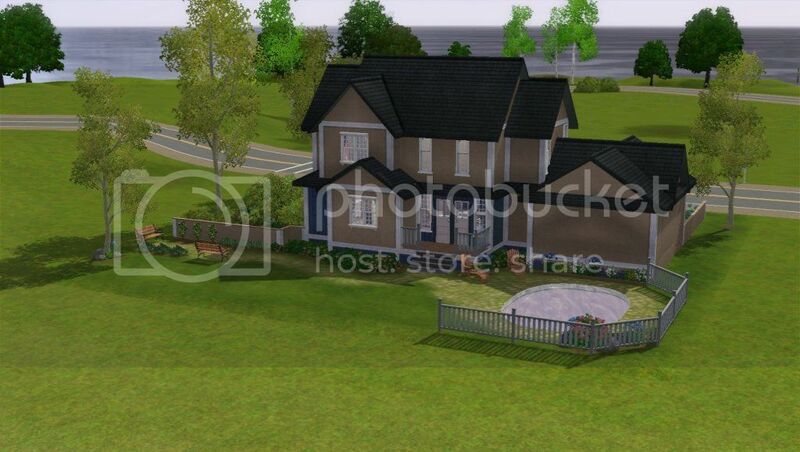 Yes -- This is, unfortunately, sims 3 only. In the past I have been capable of hosting both TS2 and TS3, but I no longer have TS2 installed due to my computer being super duper crappy. o	MTS encourages the creation and use of CC, but everyone deserves their credit. So would you want us to provide a list of the CC we used? Question Q, does it have to be a residential lot, or can we make community lots out of it for challenge? So, we pretty much can do whatever we want to the lot as long as it doesn't alter the foundation's form in any way? Sim - Basically ;D I just wanted to be really thorough in the rules. Ack another question Q- if building a community lot, would outdoor tables count as 'living area' if making something like a bistro, or outdoor exercise areas if making a gym? What sorts of furnishings would be not-living-area-ish for community lots? @ bekafox, doesn't it have to be a house, I can't find anything about community lots? I asked him if it could be a community a few posts up =) he said yes. @ bakafox, Sorry, now I feel stupid. Good idea, though Ihave already started a house for this round. Good luck with it! Are fire places OK, the don't really change the foundation do they? Last edited by Shhh : 7th Jul 2012 at 12:46 PM. Baka - By living area I mean more house parts. 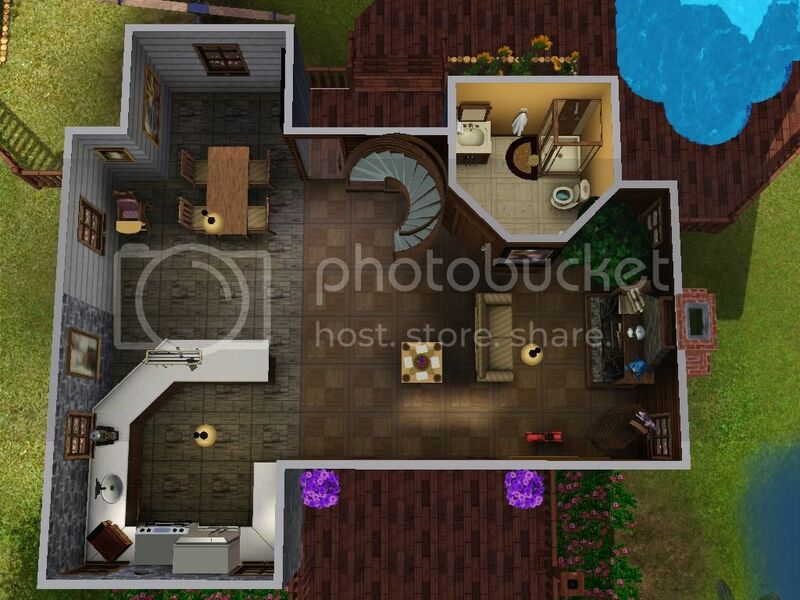 Like, adding an outdoor room would be living area. You can add a patio, provided it isn't on foundation. 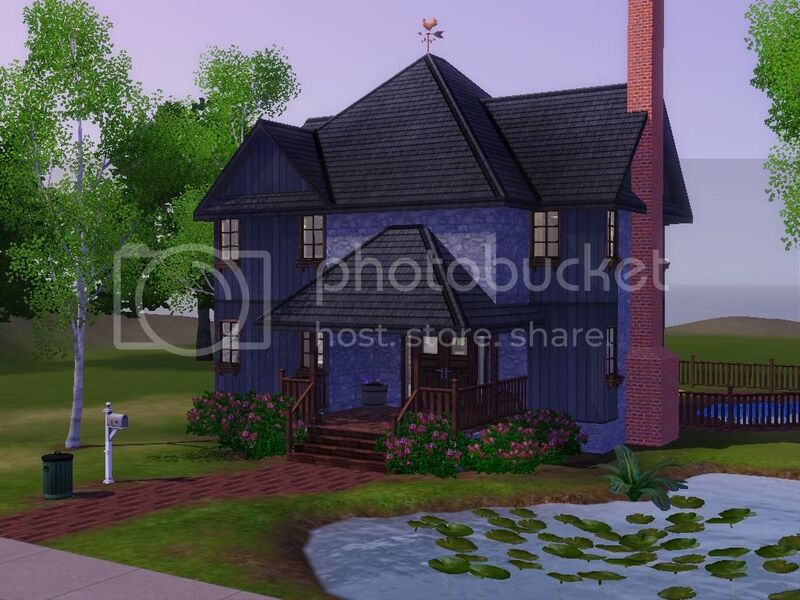 Basically, things like garages / decorative little sheds in a garden are allowed as they don't add more space for sims to actually live in. A guest house would not be allowed, as it would function as livable space. Although I asked about community lots, for round 1 I built a residential after all =) Background setting is a world of mine in progress- so I bring a desert suburbia modern beauty: Desert Ice, 2BR 2BTH home with swimming pool and lovely cactus gardens up front to make up for the water usage on that lush back lawn. The first floor layout is an elegant living/sitting room and dining room, with the small downstairs bathroom/laundry tucked away neatly. The grounds are neatly manicured and the pool wraps the house with pristine water. 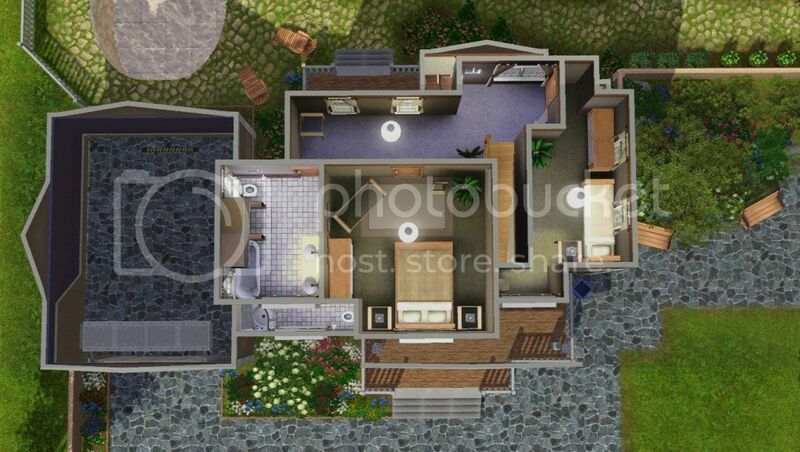 The upstairs has a small entertainment area on the landing, plus the second bath, master & second bedrooms. There's a small balcony, shaded by roofgarden vines from which to enjoy the stars. And at night the house just about shimmers. The more poetic of the family teens likened it to a "Moon on the ground, only all square and stuff." Lot was built using EA Lucky Palms & Town Life stuff along with the EP's through Showtime. The only CC on the lot are the Porkypine conversions of Macarossi's desert plants from TS2. Last edited by bakafox : 7th Jul 2012 at 10:47 PM. Reason: Forgot to link something. I don't build often but when I do its usually for my legacy family or to suit an existing family in my stories. So for round one I found inspiration in a family I made up. Looking forward to future rounds and becoming a better builder! 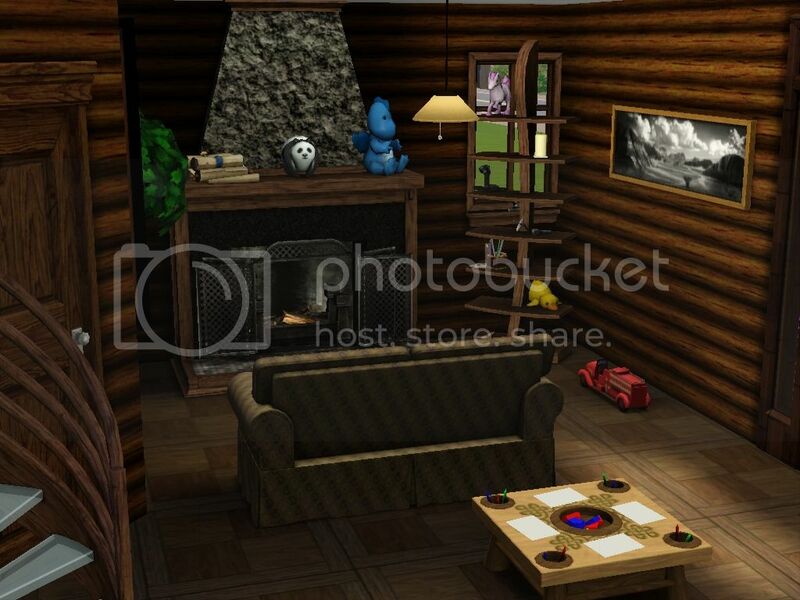 Family Retreat, 3 BR 2 BTH. Pool, garden, and full nursery and toys. City living was never in the plan for Brooke and Hunter, and their rustic cabin in the woods was all they ever wanted. But when kids came along the house became filled with toys and the patter of tiny feet on the wooden floor boards. The kitchen is Hunter's baby. 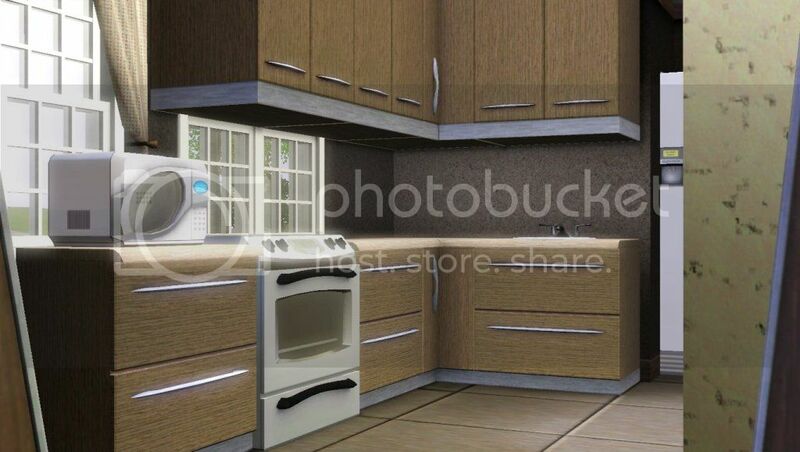 State of the art appliances, a beautiful wrap around counter and a rock back splash. Their son Junior is a teen now, and he doesn't share his parents' love of the outdoors. He'd much rather move to Bridgeport as soon as he can and take up acting. Maybe becoming as famous the great Matthew Hamming! 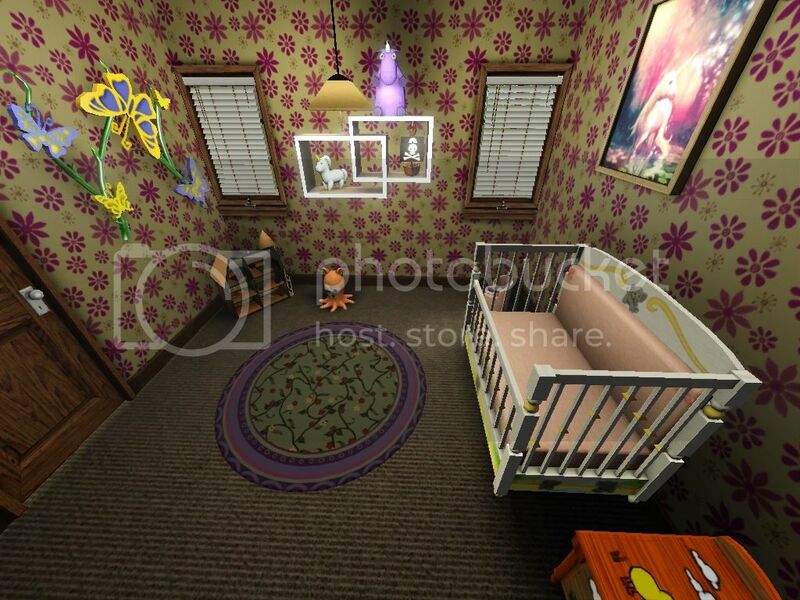 Annie is the baby of the family, still just a baby but her room is filled with all the toys she'll ever want. Nothing but the best for mommy and daddy's little princess. Whatever you don't recognize in regards to furniture is most likely from the store. Last edited by ReyaD : 9th Jul 2012 at 4:40 AM. What a wonderful way to start off Building Blocks! Keep those entries coming everyone! Just wondering, what is the closing date for the applicants? I call this Suburban Surroundings, mainly because this is actually quite a small house and consequently a lot of the lot is just... landscaping and 'surroundings'. The house's foundation is totally unmodified, but I have added a garage onto the side (reading through the rules, I gather that this is totally allowed). 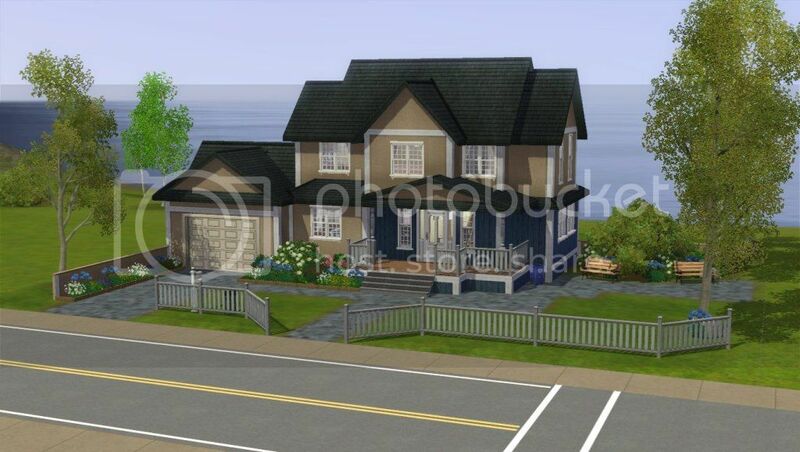 The house has a suburban feel to the exterior, in both shape and colour combination. The interior is very modern, and tries to make the most of the space in the house consisting of 2 bedrooms, 2 bathrooms, open plan kitchen and dining, and also a living area with direct access to the back of the lot. Enough waffle, let's enjoy the pics! 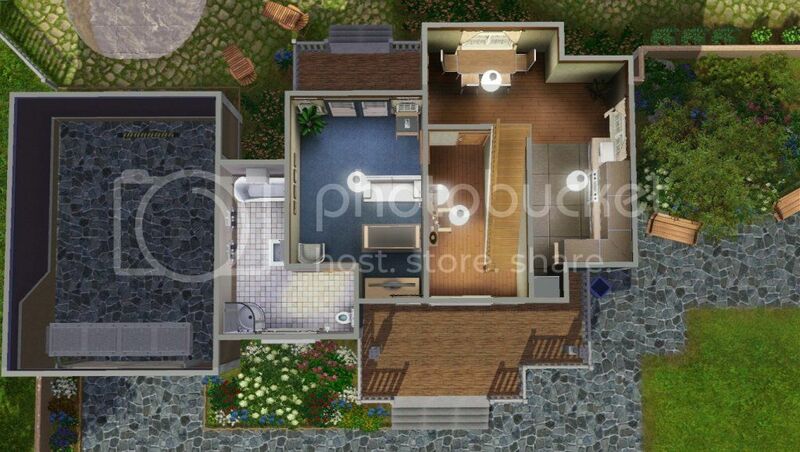 Above are the Suburban-esque exterior pictures, and below are the floor plans (ground floor then first floor), and also interior pictures of the kitchen and master bedroom. 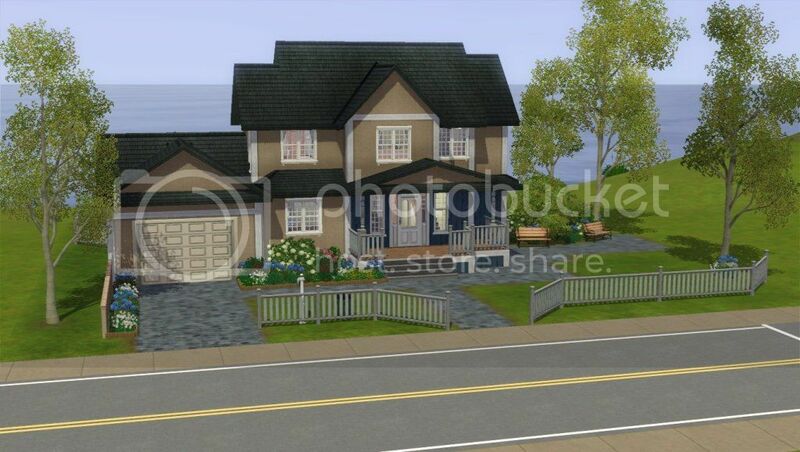 Suburban Surroundings includes absolutely no CC, including no store content. I have built it with the Base Game and Ambitions installed. Last edited by porkypine : 9th Jul 2012 at 4:24 AM. Reya, is this your elusive bamboo fencing?